Installations provide a way to choreograph the content and sequence of an exhibition. The gallery becomes book-like, with a beginning, middle and end. 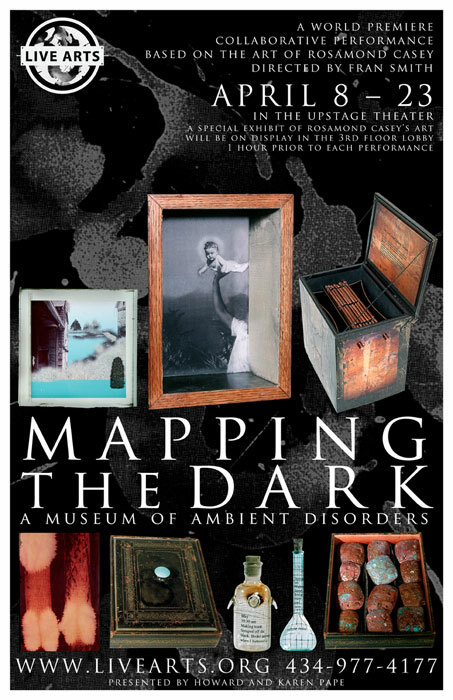 Mapping the Dark: A Museum of Ambient Disorders is a five-year project mining the interior lives of ten imagined characters by conjuring a private mark for each persona, tools with which to stabilize, suppress or activate an inner state. For an additional installation, see Men in Suits.